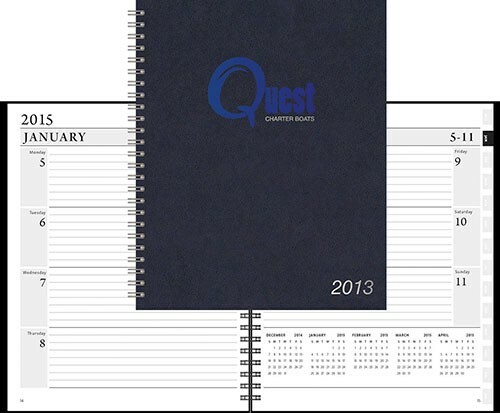 The Tabbed Mid Size Daily Includes: 416 white lined pages with time reference in modern blue and gray print. 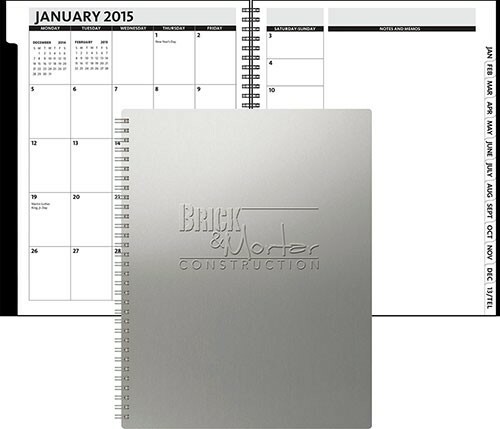 A tab separates each month where each page includes perforated corners, a month at a glance in three month sections. A silver ribbon marker and an extensive reference section in the back that includes National and International Holidays, maps, exchange tables, and important reference lists. Matra provides a quality high-grade polyurethane option, a cover that features a smooth surface with a matte finish. 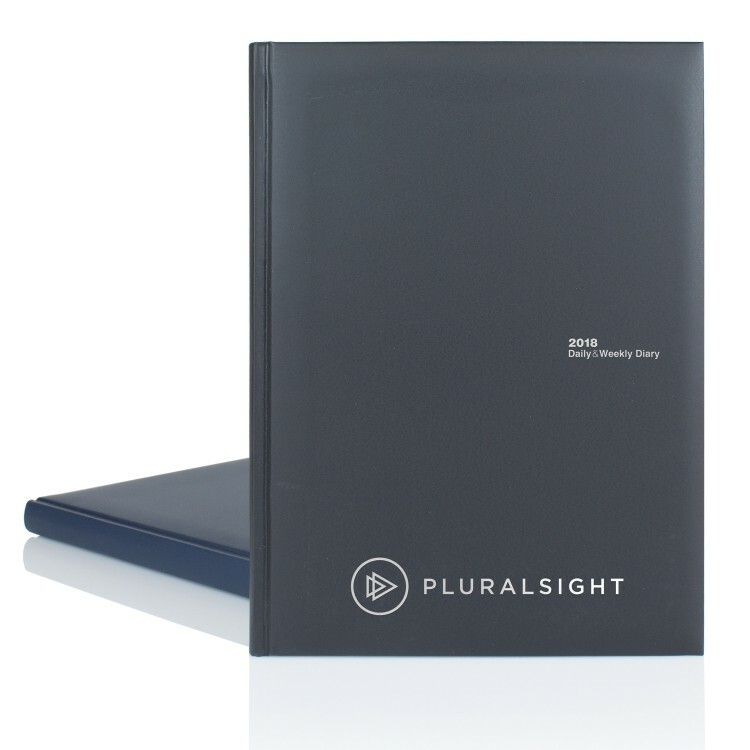 The Medium Journal Includes: 256 pages, lined white pages printed in modern gray, perforated at spine for easy removal. 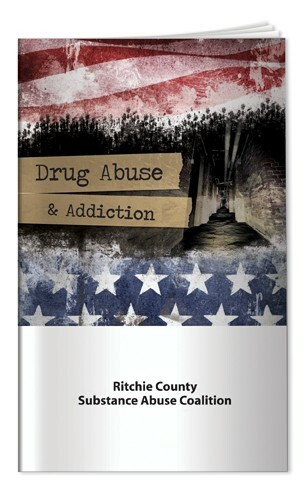 Two ribbon markers in blue and silver. Size: 7 x 9 11/16 inches. Our most popular cover, Tucson is a smooth soft texture that is often mistaken for leather. 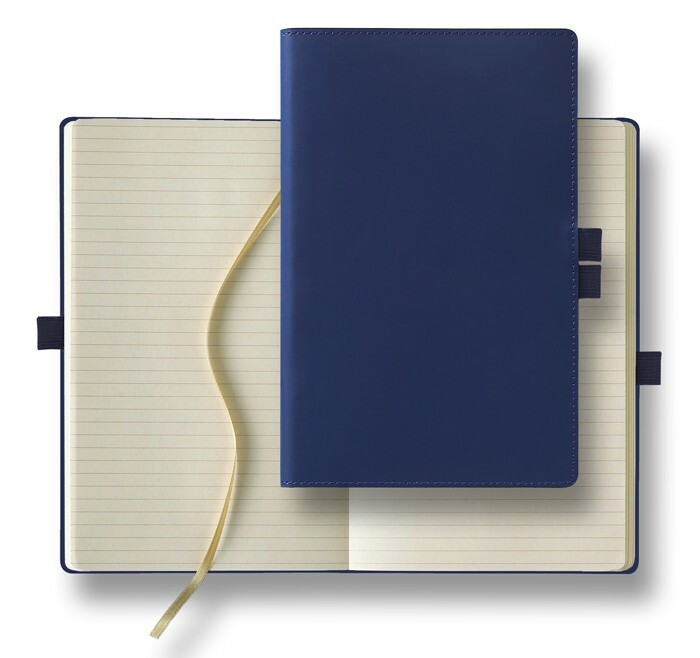 The Medium Journal Includes: 256 pages, lined white pages printed in modern gray, Two ribbon markers in blue and silver. 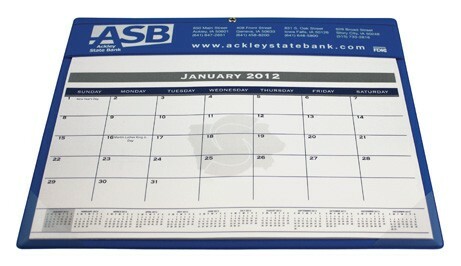 Size: 7 x 9 11/16 inches. A woven fabric in exotic colors, Silk is the perfect description of this smooth texture. Flexible, faux leather covers with strap closure. 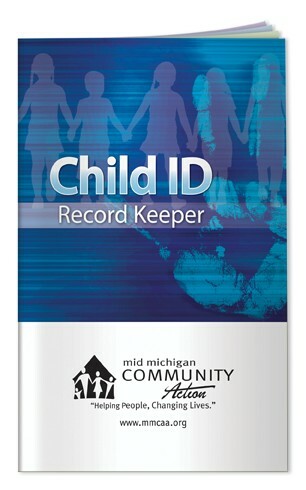 Includes blind deboss imprint and a custom full-color GraphicWrap. 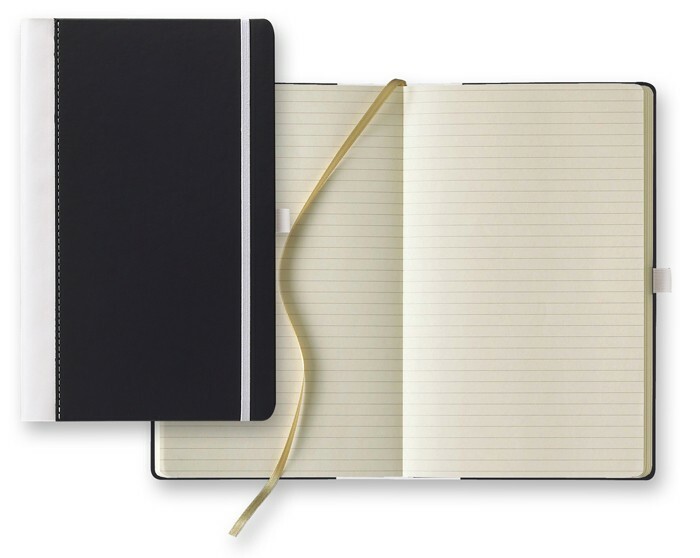 100 sheets of lined filler in a refillable, perfect-bound paper notebook. 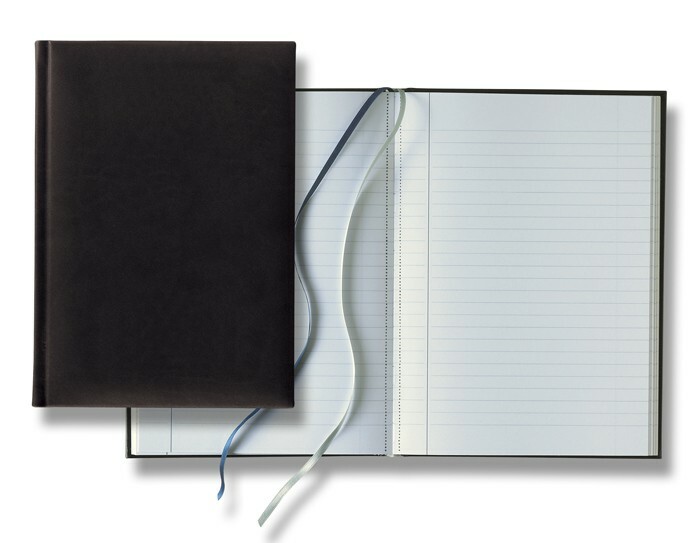 Features business card slits inside front cover, blue & silver satin ribbon bookmarks, and a black elastic pen loop. 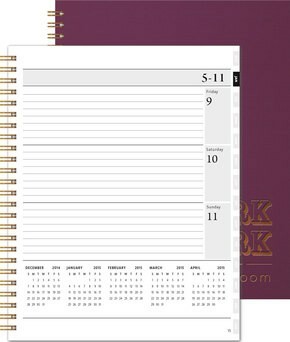 To purchase refills for this product, please visit www.refillabook.com Not available for SureShip. 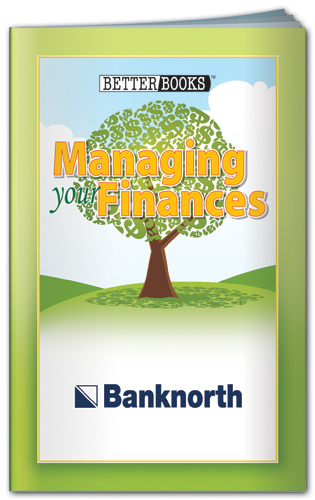 Imported Journalbooks® When the Message Matters! 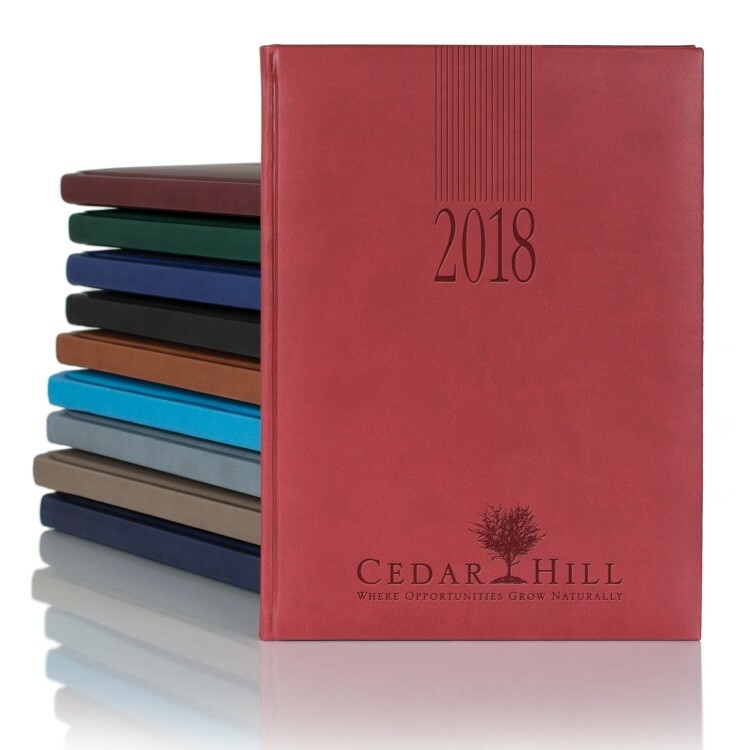 The Pocket Horizontal Monthly Planner Includes: 64 white pages printed in modern gray and blue, perforated corners, and extensive reference section. 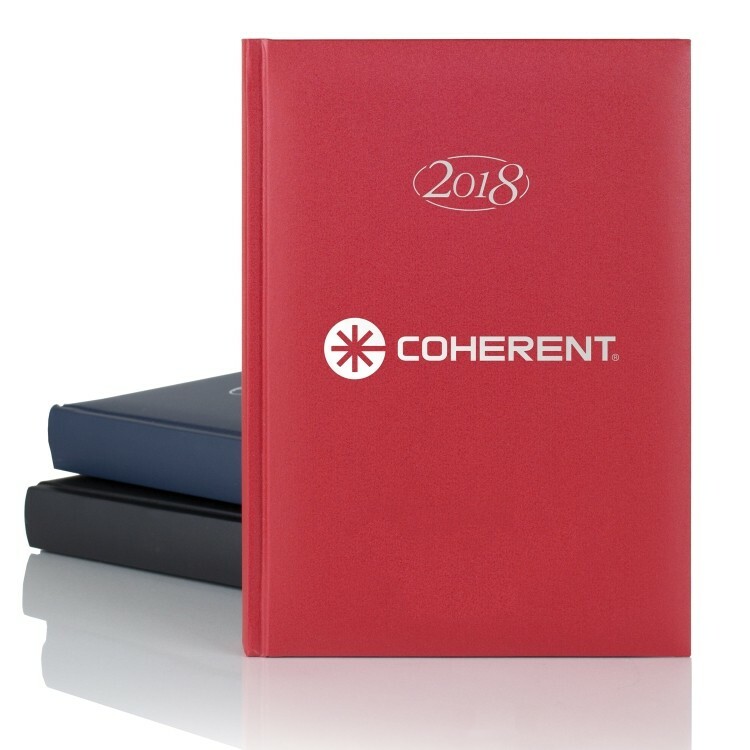 Reference pages include National Holidays, Next Year Planner, Toll-Free Numbers, Area Code Reference, Airport Codes and much more. Size 3 3/8 x 6 13/16 inches. Our most popular cover, Tucson is a smooth soft texture that is often mistaken for leather. 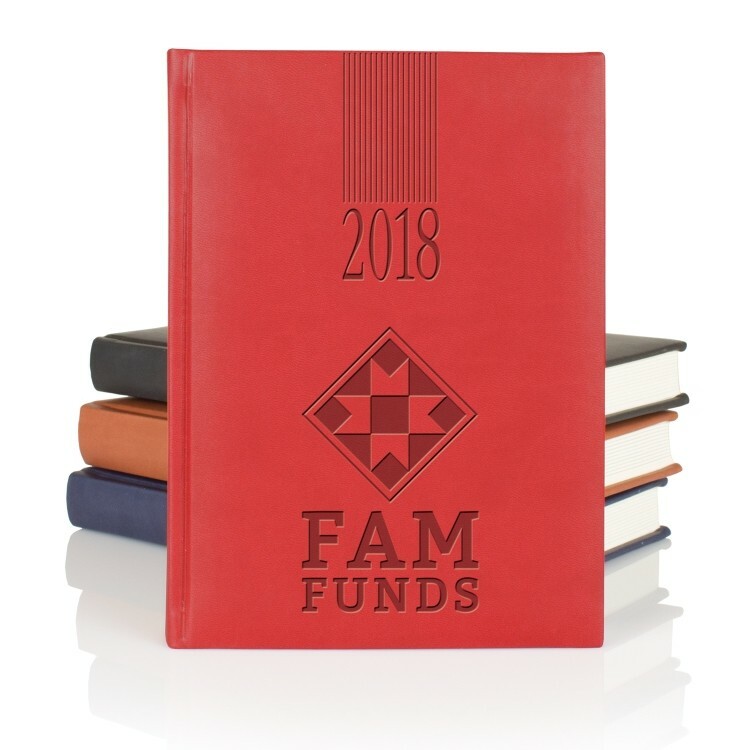 The Small graph Ivory Flip is an FSC certified product containing 192 graph ivory pages with round corners, 32 pages at the back are perforated. Elastic band closure matching cover. The most popular material in the collection, Tucson features smooth lines and a soft texture that is often mistaken for leather. 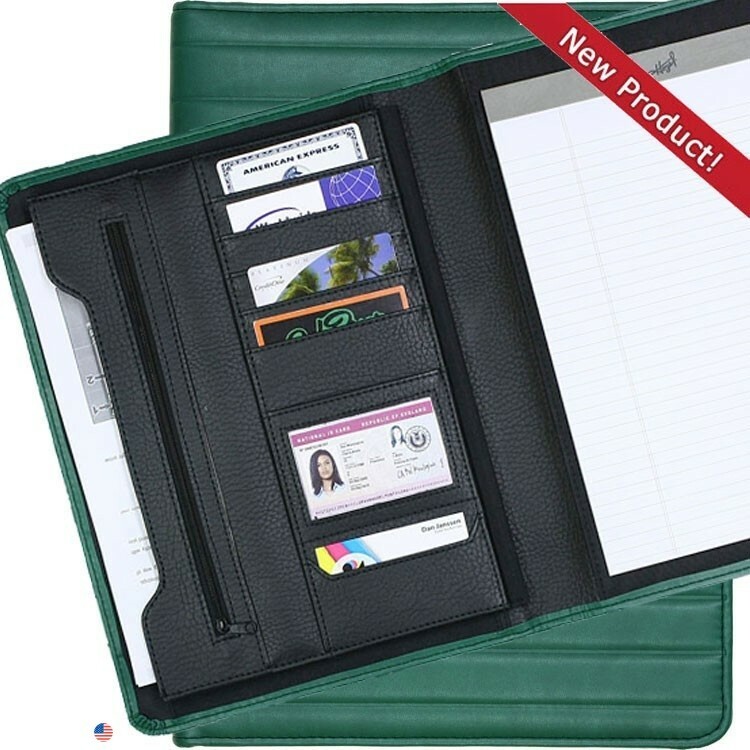 Italia Leatherette Padfolio with 5 credit card/business sleeves and a clear view pocket. 1 business card pocket, a 10" x 6" zippered pocket with a full back gusset pocket, pen loop and a ruled writing pad. 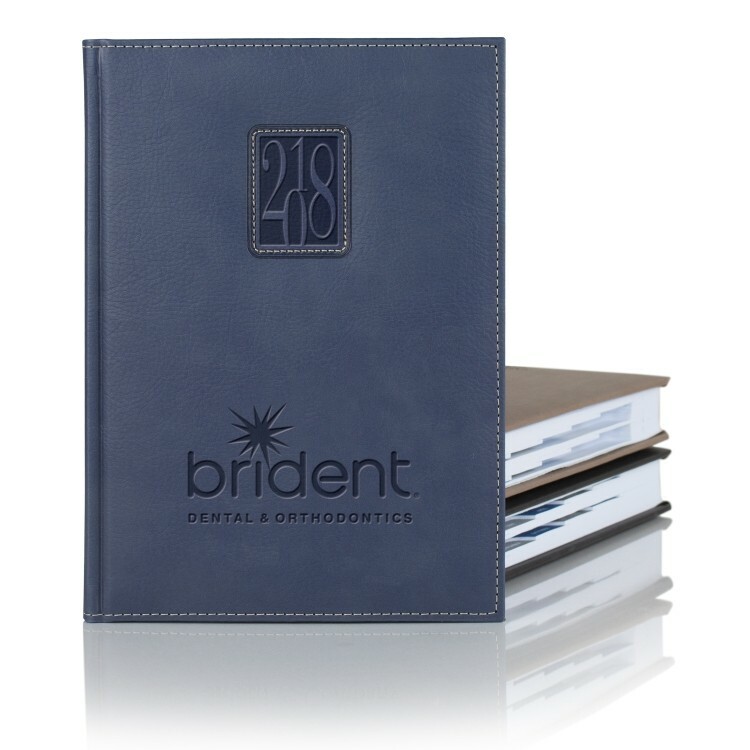 The Weekly/Monthly Tabbed includes: 192 white pages with modern blue and gray print, a silver ribbon marker, perforated page corners. Size 7 x 9 11/16 inches. 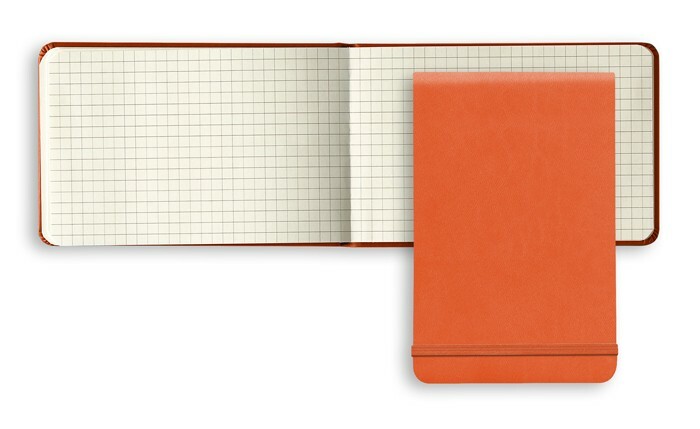 Our most popular cover, Tucson is a smooth soft texture that is often mistaken for leather. 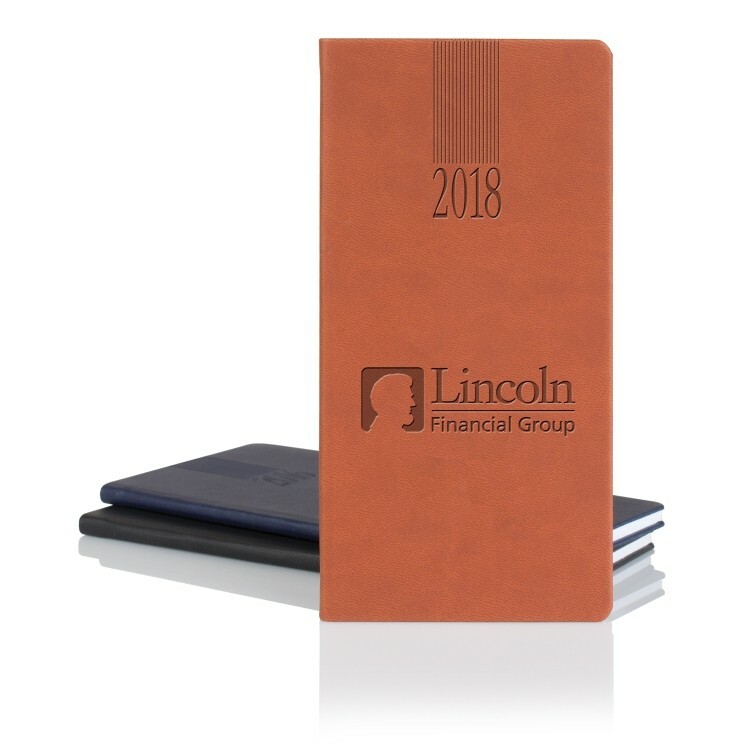 The Dual Format Desk Mid Size Daily & Weekly includes a patented dual system for keeping track of daily and weekly appointments using half pages for daily notes inserted in-between your weekly spread. 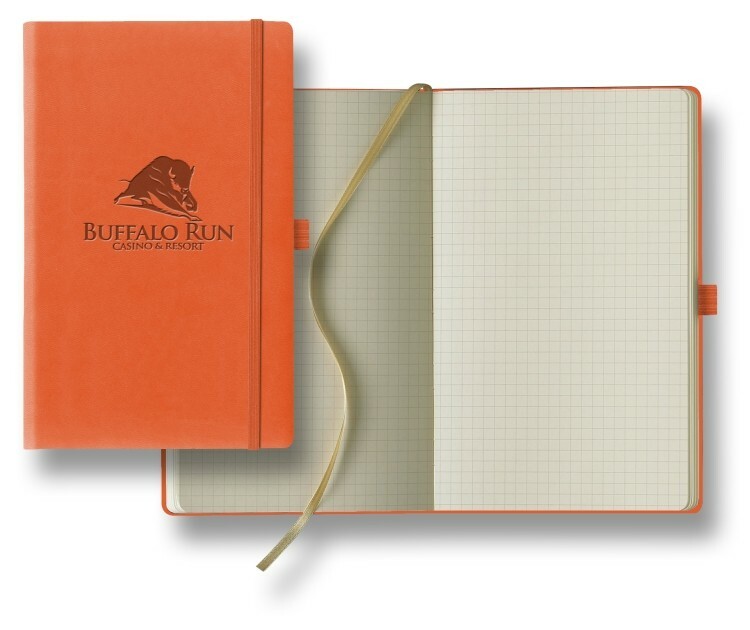 Made with bright white paper with orange and gray print on 367 pages, including a orange ribbon marker. 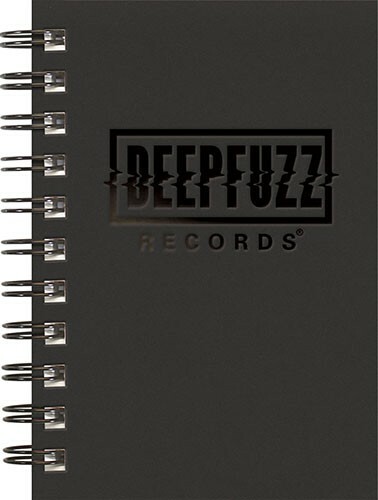 Extensive reference section at the back includes an address book. Size 6 1/2 x 9 3/16 inches. 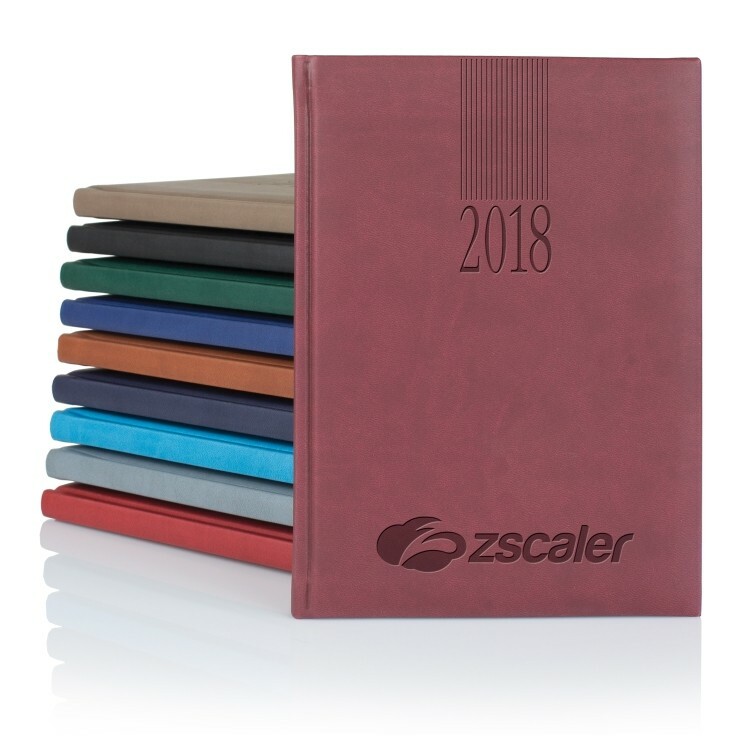 Matra provides a quality high-grade polyurethane option, a cover that features a smooth surface with a matte finish. 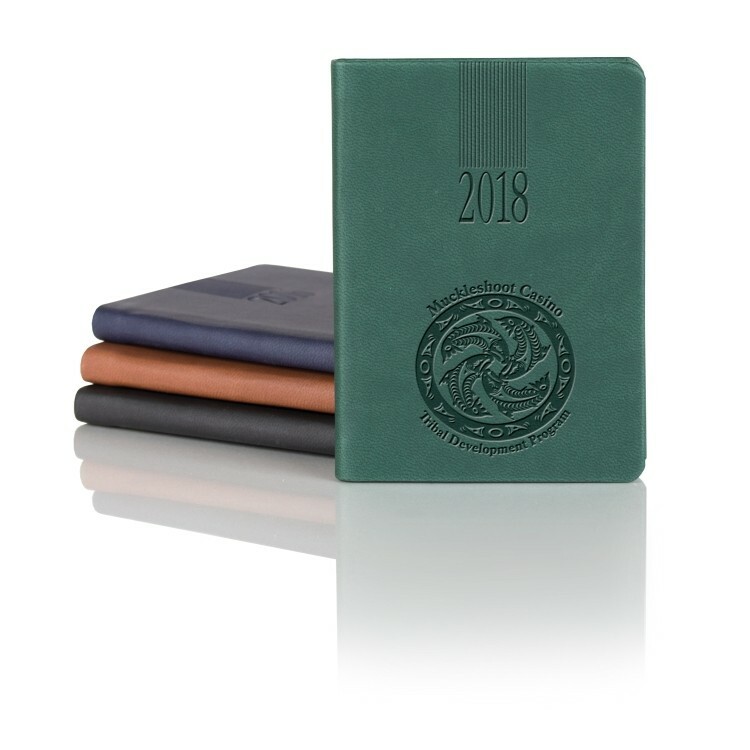 The Large Ivory Journal includes a pen loop, an elastic closure, lined pages in gray print on 240 pages of FSC certified Ivory paper. 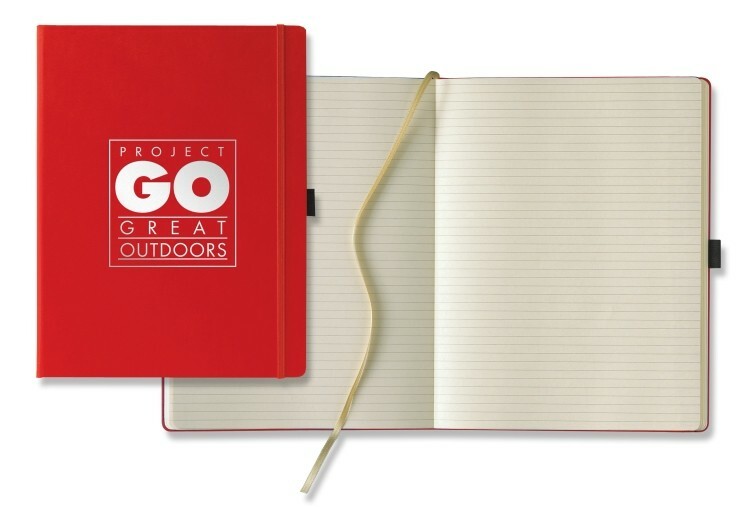 In addition this model includes a back expandable pocket, and a gold ribbon marker. Size 7 2/5 x 9 4/5 inches. Paros a favorite cover constructed of durable polyurethane, with a durable surface and soft sheen. 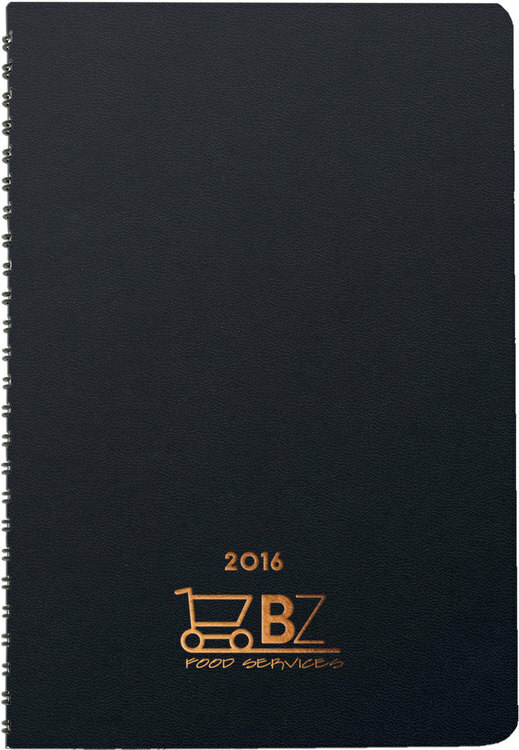 The Small-Size Wire Journal includes 192 pages printed on bright white paper with modern grey print lines. 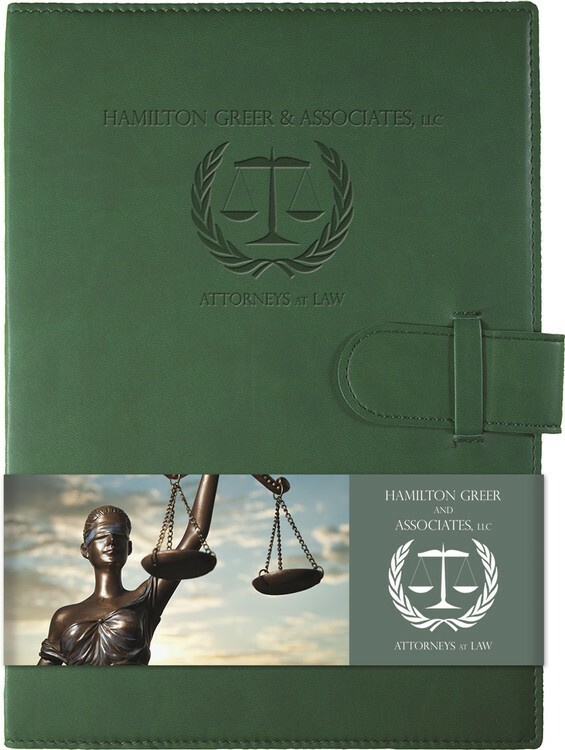 The cover is made with new rounded corners, using black spiral wire, on a hard cover with black interior. Size 5 3/16 x 7 5/16 inches. 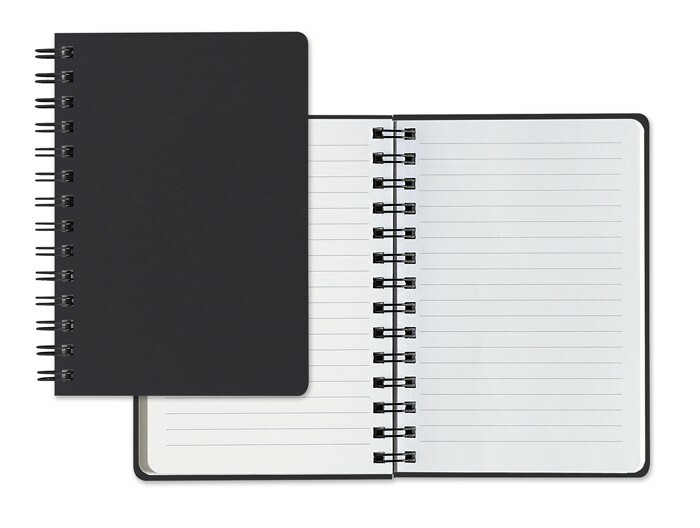 Matra provides a quality high-grade polyurethane option, a cover that features a smooth surface with a matte finish. 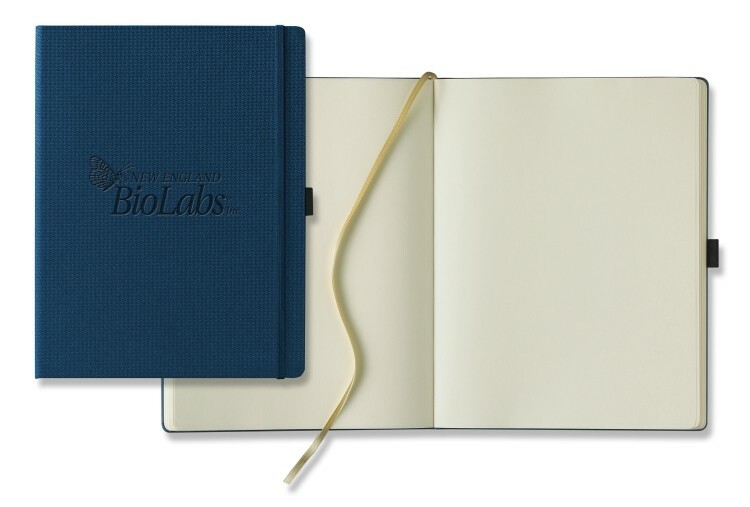 The Medium Ivory Journal includes a pen loop, an elastic closure, graph pages in gray print on 240 pages of FSC certified Ivory paper. 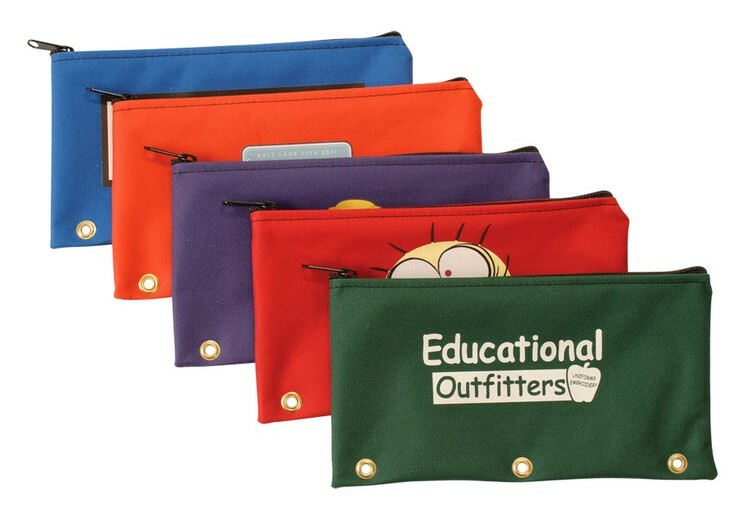 In addition this model includes a back expandable pocket, and a gold ribbon marker. Size 5 3/4 x 8 1/5 inches. Our most popular cover, Tucson is a smooth soft texture that is often mistaken for leather.